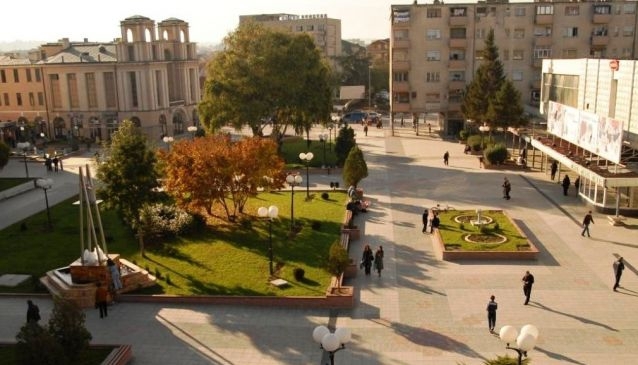 If you choose Kumanovo for your next destination, then it is inevitably passing across the beautiful Central Square where every single second spent is a real enjoyment. The Square is situated in the heart of the city and it is a place where you can have long walks and relaxed time with family or friends. You will notice beautiful monuments and buildings that ornament the city and at the same time say a lot about the rich history of Kumanovo and the whole country in general. Some of them are: the old cinema building Napredok which dates back from the 20th century, the statue of Batko Gjorgija, a beautiful fountain as well as a monument dedicated to Tito (Yugoslavia's President). Also, the Sentral Square is surrounded by desks where you can rest and smaller green surfaces on which many flowers and trees are planted. The whole setting is beautiful and the ambiance relaxed and pleasant for people of all generations. Near the square many stores, cafes, restaurants and bars are located so you can enjoy excellent time there in one of them or you can simply observe the dynamic way of life this city lives.